I have always been a nail person and before I worked in a kitchen where nail varnish is an absolute no-no, I used to love slapping on the brightest colours and designs. Then my nails took a bit of a turn. They became dry and would snap, tear and crack easily. I started wearing treatments instead of crazy colours to try and help them, but nothing has seemed to work so far, leaving my nails extremely brittle, flaky and rough to the touch. Washing up so much at work definitely isn't helping either! But seriously, I've become quite self conscious about my nails and kind of stuck on what to do about them. Luckily for me, the wonderful people over at KLM Beauty wanted to send me the Microcell Nail Repair Tester Kit*, so you can just imagine how pleased I was when the postman dropped it off! In the kit, you receive 50ml of Nail Repair Remover, which has been designed specifically for soft and brittle nails. It's acetone free and that gets a massive thumbs up from me because I don't think acetone is ideal for my nails whilst they're in the condition they're in. You also get a mini bottle of Nail Repair - a treatment that is based on restoring the protein molecules in the corneal layer of your nails, strengthening damaged nails and protecting the tips against tears - and a mini bottle of Nail Wonder, which is a multi-use product. It can be used as a top coat for a brilliant shine, as a colour freshener, as a groove and ridge filler (that appeals to me massively), or as a clear varnish for protection against any external influences. Not only do you receive those three products, but there's also a bottle of Colour Repair in Raspberry Kiss! While I can't use this right now, it's definitely something I'll be slipping into my collection. Each of them comes in a glass bottle, even the Remover, so none of the products feel cheap or low quality at all. So, here are my nails and I'll say, they're looking much better in this photo than they've previously looked. You can see that there's a small tear on my second nail though, and my middle finger has some strange discolouring and flakiness towards the tip. The texture is the main problem at the minute though, which I can't really capture in a photo. But anyway, before this photo, I removed my current nail treatment using the Microcell Nail Repair Remover. I added some to a cotton pad and pressed it on to each nail for a few seconds before wiping. What's a bit weird about the remover is that it almost feels like it's not there. I know I put a decent amount on the cotton pad, but it felt almost dry to the touch. It's a bit difficult to describe, but it was there and definitely working because it removed all of my treatment. There was no horrible smell either, which is a huge plus - nobody likes the smell of nail varnish remover! It left my nails feeling matte and clean with no residue at all. Fast forward around 2 weeks, and my nails have never felt better, honestly. 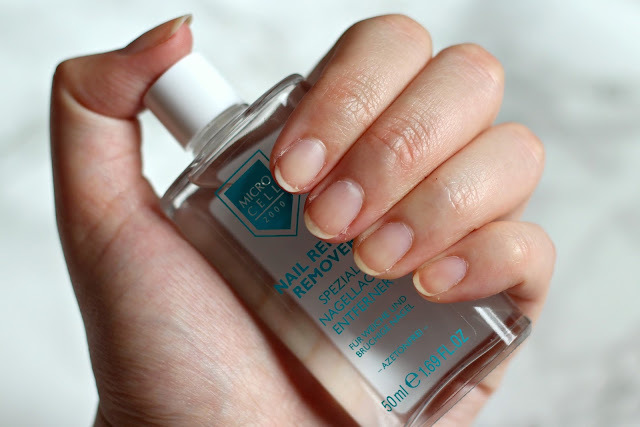 I've been using the Nail Repair Remover and the Nail Repair, following along to the guidelines that Microcell provide - remove any nail polish, apply one coat of Nail Repair, apply another coat the following day, remove, apply one coat and so on. I really thought that all the removing of the product would have a negative impact on my nails, but thanks to how gentle the Remover is, it removed the product without drying my nails out. The Nail Repair applies super smoothly and dries very quickly too, which is ideal for busy hands. I was surprised at how strong one coat was on my nails, as it held up against a full shift of washing up on multiple occasions! While you only get a 12ml bottle of the Nail Repair, I still have at least half left after 2 weeks, so that just goes to show that you don't need a lot to coat your nails time and time again. Overall, this combination of the two products and the process of applying them has reduced the flakiness of my nails massively. Before I started using this kit, the tips of my nails would peel every day, making them ridiculously weak. They feel stronger than ever and haven't broken since I started using the kit! I thought that my poor, tired nails were past saving, so this is a total miracle for me. 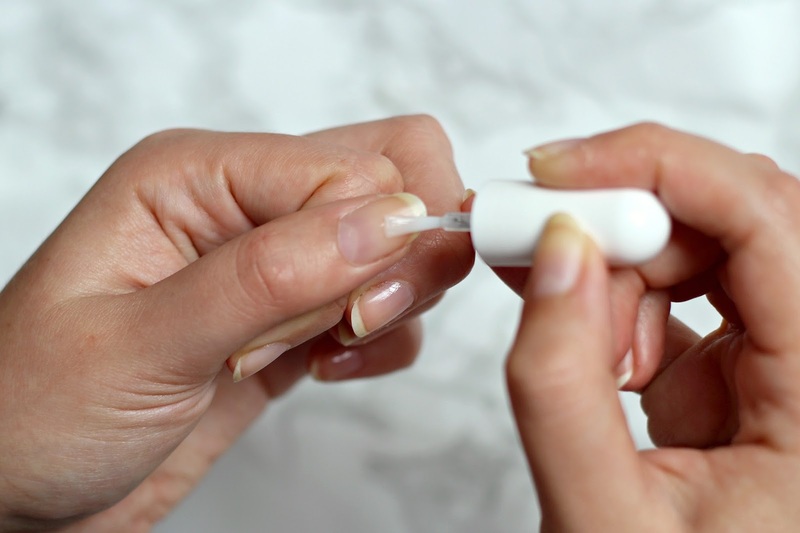 Ok, we're fast forwarding about another week now (this post has been a long time in the making), and this time, I've been trying out the Nail Wonder. I've put the Remover and Repair aside for the time being, although I'm gagging to get back to using them after getting myself into a routine. But it's only fair that I try out the Wonder too! This is the one that can be used in may different ways; as a top coat for a brilliant shine, as a colour freshener, as a groove and ridge filler, or as a clear varnish for protection against any external influences. As I wasn't going to be wearing any colours, I was just going to use mine as a clear varnish on top of bare nails and hope that it would also fill in any ridges that my nails had. I've been removing any product and applying another two coats every third day or so, and I'll admit, I'm really happy with the results! Much like the Repair, the Nail Wonder applies so smoothly and dries almost instantly. I've found that one coat gives my bare nails a beautiful, natural shine, whereas two makes the shine more noticeable and also provides my nails with a strong barrier. On the chipping side of things, it didn't hold up as well as the Repair, but I didn't expect two layer of clear polish to be totally chip free. However, it only chipped after the second day of wear and it was only slightly, so that is pretty darn amazing. It definitely made my nails feel smooth and free of any nasty texture that I had before, which is a real winner with me. While I feel like this stuff is amazing at protecting my nails from any harsh external things they come into contact with, I don't feel like they do much below the surface, and it's for this reason that I think I love using the Nail Repair more. Don't get me wrong, the Wonder is wonderful (I just couldn't help myself), but I can actually see the difference the Repair has made. With all this being said, I can definitely see myself every single one of these products over and over again. I honestly can't thank Microcell enough for helping me to revitalise my nails and bring them back to life. 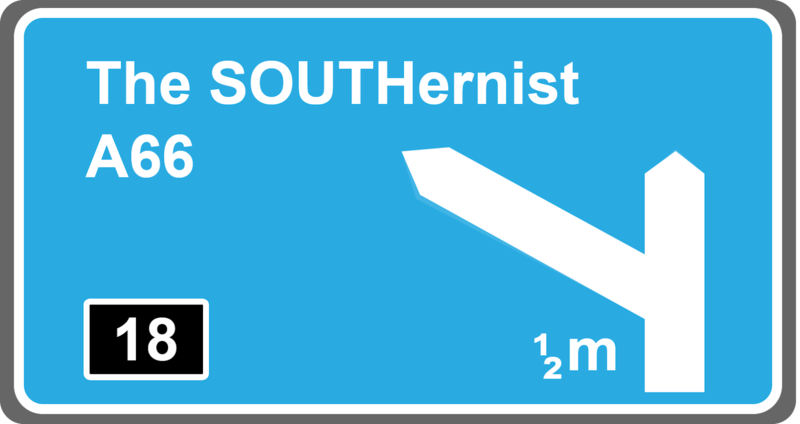 They really were getting me down, so it was about time that I used something that was actually going to help them out! 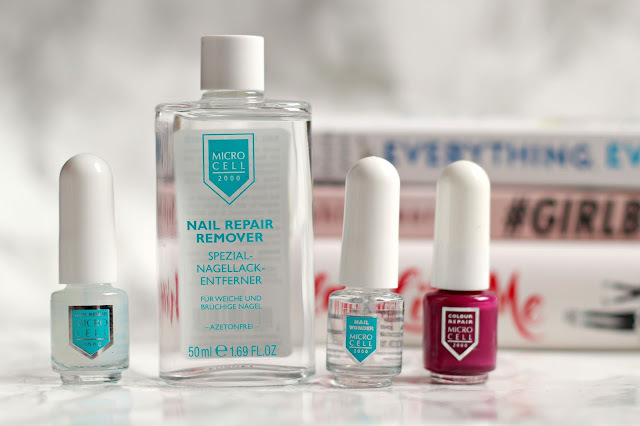 If you're someone that suffers with dry, brittle or flaky nails like I did, you absolutely must check this brand out and I definitely recommend purchasing the Microcell Nail Repair Tester Kit* to get you started - that way, if you like what the products do for you, you can purchase the full size versions afterwards! Thank you to KLM Beauty for sending this kit over to me. I thoroughly enjoyed using it and I'm extremely happy with the results! Ooh thanks for this post - this is really interesting and sounds perfect for me right now! I always used to have pretty nice, long, healthy nails but lately they've been breaking loads and the texture just doesn't feel right. This product sounds good and really sounds like it's improved your nails! Thanks for the tip, I think it's time I start looking after them a bit better! My nails have been minging for I don't even know how many years thanks to too much nail polish wear and not enough care. I've been around 3 months without nail polish and my nails are only starting to look a little better but they're still slightly discoloured and flaking a little. I need to get the the repair kit asap as I can't handle looking at my nails in their current state for much longer!